List of 5 available hotels in Hyderabad . These Hyderabad hotels can be booked online. Choose a hotel based on your preference by area, budget, star rating, etc. Hyderabad is one of the extended metro cities in India and is the capital of Andhra Pradesh. It is one of the fastest growing cities mostly due to it booming IT sector. 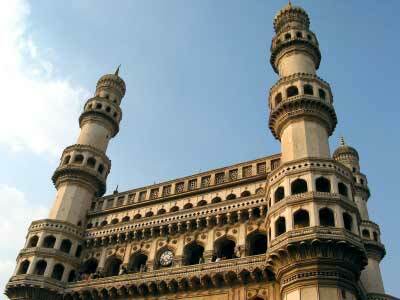 Hyderabad is a popular business as well as tourist destination of Southern India. There are lots of good hotels in Hyderabad to cater to its ever growing visitors. One can find Hyderabad hotels in all prices ranges. Some of the good budget hotels in Hyderabad include Vajra Residency and Silver Park which are centrally located in the city. One of the popular Hyderabad hotels located near the Hi-Tech City is Hotel Luxor Inn which is rated highly among guest who have stayed here. Hyderabad hotels close to railway station include Hotel Mahaveer (0.2 km) and Quality Inn Residency (5 km). Other popular hotels in Hyderabad includ Priya Residency (0.5 kms from US Embassy), Hotel Savera Residency (near US Embassy), Vajra Residency (2 km from Charminar) and Swan Suites (4 km from Golconda Fort). Some of the top rated 3 star hotels in Hyderabad include Hotels Nakshatra, Hotel Baseraa and Quality Inn Residency. HotelPushpak.com is designed to help travelers plan a perfect holiday or business trip by providing hotels that is suited to your needs - both in terms of your budget and location. You can book hotels in Hyderabad from the comfort of your home. Whether you are looking for Economy Hotels or Luxury hotels - you will find it all with us. You can also look for hotels near specific landmarks (airports, railway station), near business hub (Hi Tech City, US Embassy) or near top tourist attractions in Hyderabad (Charminar).